Most software competitors in the legal space today have little domain sophistication, creating a frustrating user experience. At first glance, their features look good. Yet, when you attempt to use the feature, it doesn’t work with real-world processes. 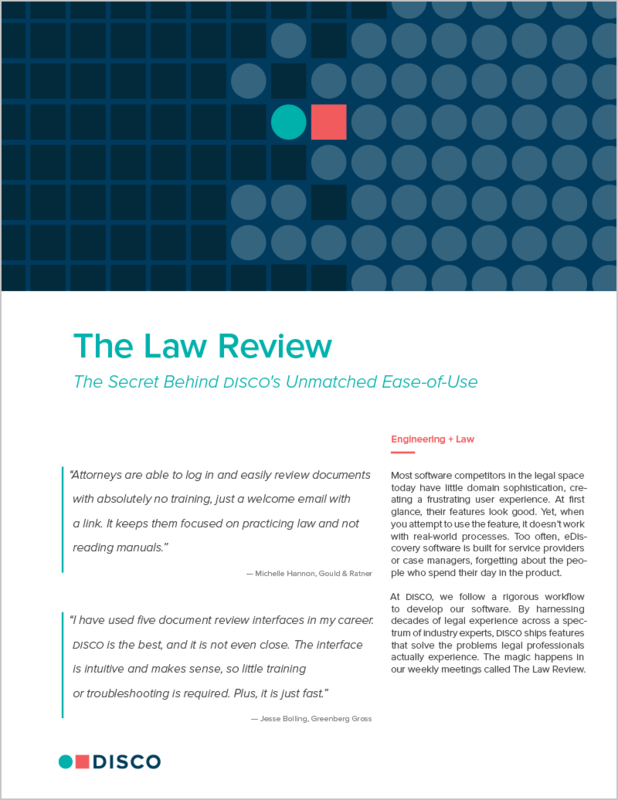 Too often, ediscovery software is built for service providers or case managers, forgetting about the people who spend their day in the product.